The Interior Department announced on March 8th, 2018, that it will be moving forward on an aggressive timeline to allow oil and gas leasing in the Arctic National Wildlife Refuge, one of the last great intact ecosystems in North America. The BLM has hurried forward, cutting corners, ignoring science and disregarding the human rights of the Gwich'in people in order to sell drilling rights before another administration can intervene. 95% of Alaska's Arctic Coast is already open for development. The Refuge contains the last 5%, the coastal plains (the 1002 area), a monumentally important place to preserve. 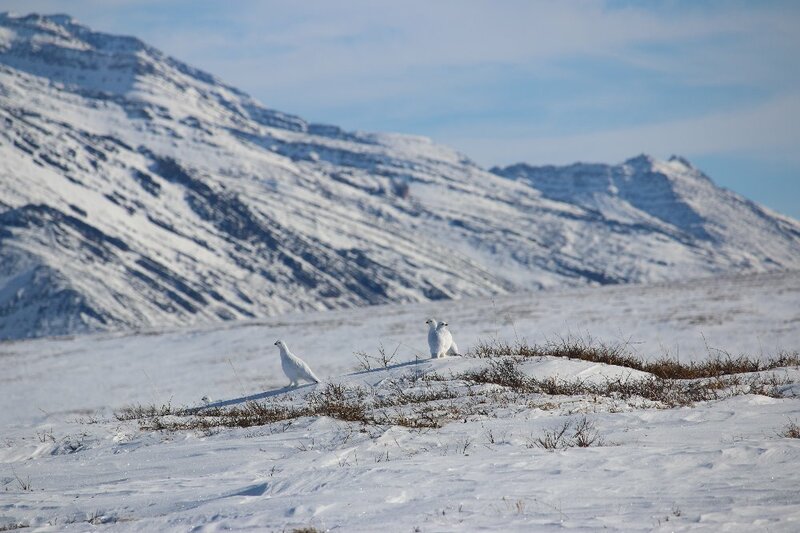 The area open for development is the thickest polar bear denning site in Alaska, it sustains over 200 different species of migratory birds, and is the birthing grounds of the Porcupine Caribou herd. 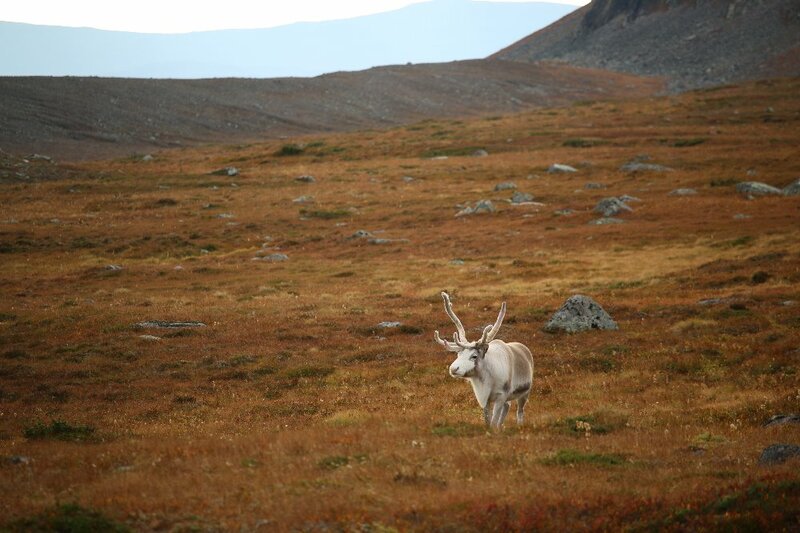 Every year 40,000 caribou are born here and 100% of the land up for development is used by the caribou during the calving and post calving season. Developing the Refuge would be an irreversible disaster for the polar bears, migrating birds, caribou, and Gwich'in people. The fight to protect the Refuge is not over. We can still make a difference. 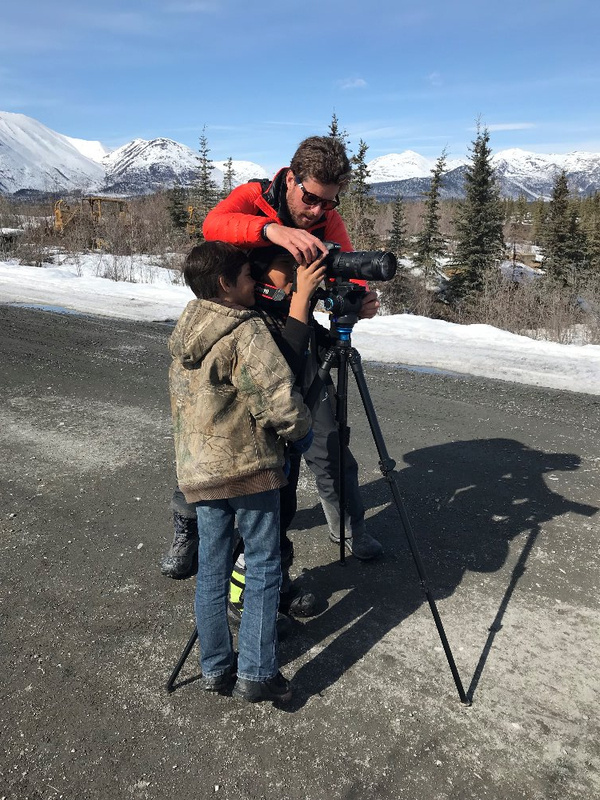 The goal of this project is to embark on a series of expeditions in the Arctic Refuge to produce powerful media to advocate for the protection of the coastal plains. We have also spent time listening and learning in the Gwich'in communities of Fort Yukon, Arctic Village, Old Crow, Tsiigehtchic, and Fort McPherson and the Inupiat community of Kaktovik. We are eager to bring these voices to the forefront. 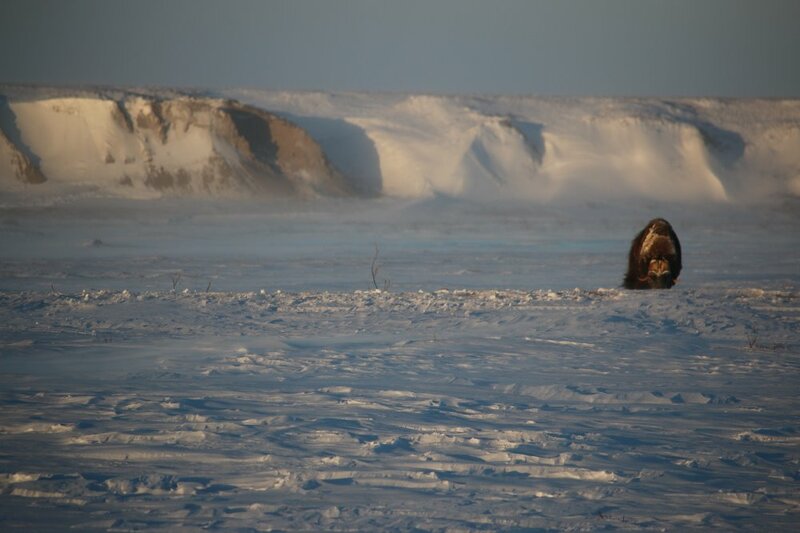 The Gwich'in live in 13 villages in Northeastern Alaska and Northwestern Canada. 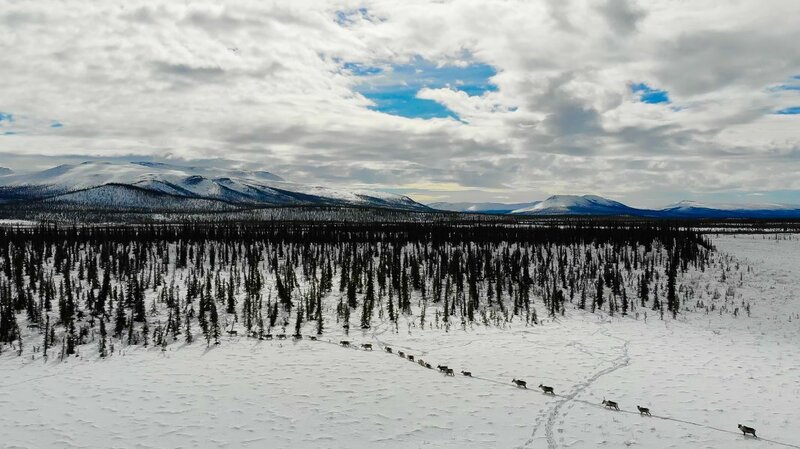 They live along the Porcupine Caribou herd's migration path and have been physically and spiritually tied to the caribou for over 20,000 years. Any threat to the Porcupine herd is a threat to the Gwich'in way of life. We will be sharing our media and stories during key times in the NEPA process to raise awareness about the opportunity for public comment. An edit we made for the Sierra Club that was used as a call to acting during this current commenting period has nearly half a million views. We have been making edits for free for any organization who can use media to promote this issue. The first part of our journey began north of the Arctic Circle in April. We spent three weeks living with the Porcupine Caribou Herd, traveling north with them to film one of the last great migrations in our country. We also spent time in the community of Arctic Village where we were welcomed with the tremendous hospitality of the Gwich'in, the caribou people. We were spoiled with caribou meat, stories of time on the land, ice fishing, and fry bread. We were lucky to interview many in the community from youth to elders. 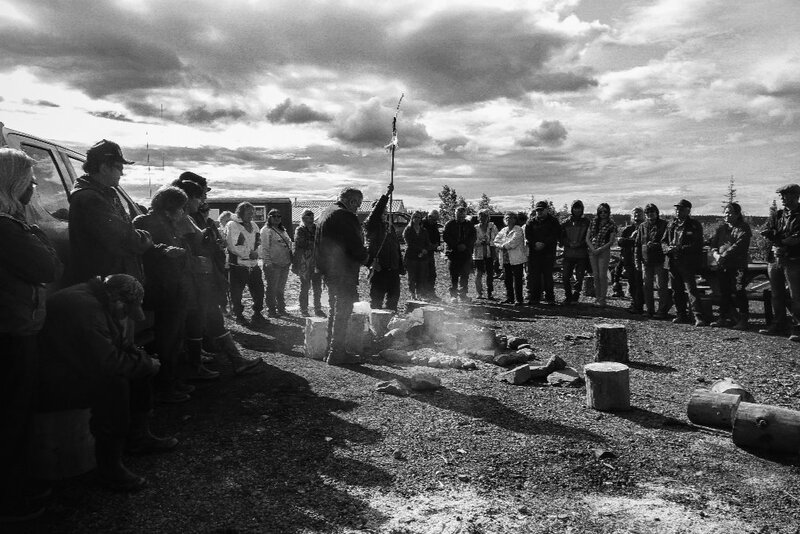 We spent time in Kaktovik and on the coastal plains themselves to visit the land that has been at the center of this political controversy since the 1970s. Next we attended the Gwich'in Gathering in Tsiigehtchic where we were able to spend time with and learn from leaders across the Gwich'in Nation. 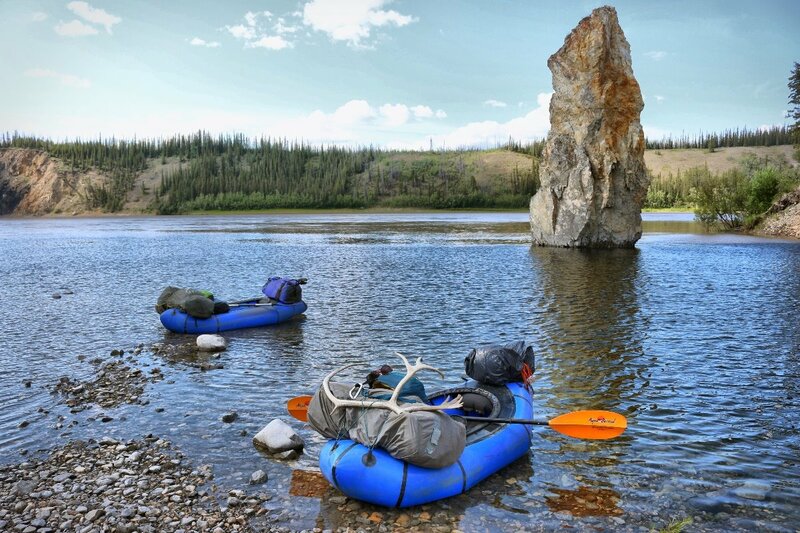 Finally, we rafted the 500-mile Porcupine River. 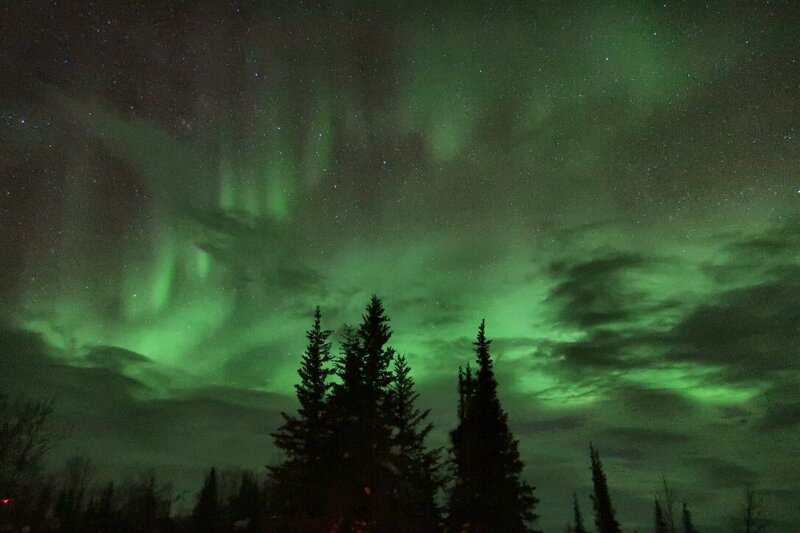 This allowed us to spend time in the Gwich’in communities of Old Crow and Fort Yukon and to see more of the Porcupine Caribou Herd's range, more of the Gwich'in homeland, and more of the Arctic Refuge. Through our efforts, we have produced a highly impactful documentary which will help illustrate the beauty of Refuge while also explaining the various issues surrounding the future of this important wilderness. 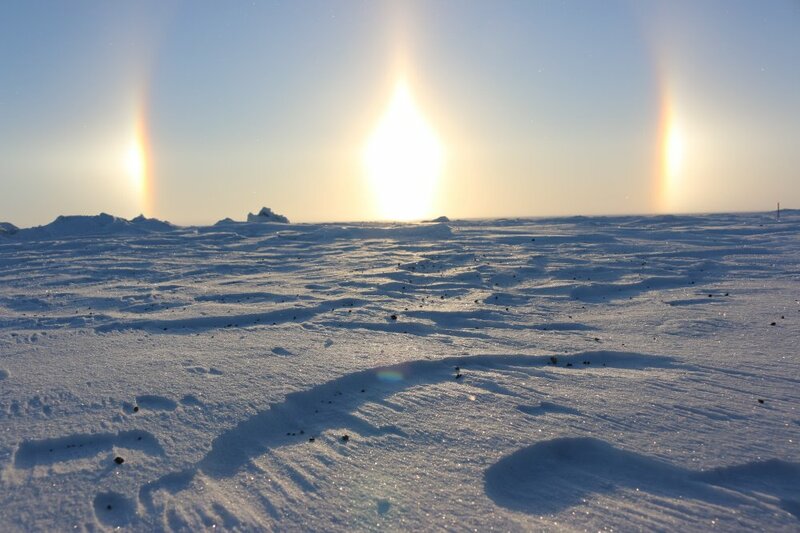 Any damage done to the fragile Arctic landscape is irreversible. 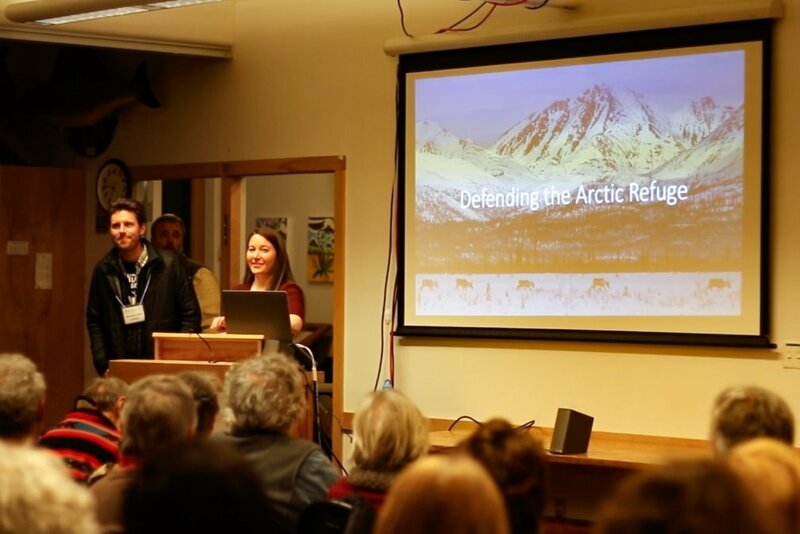 Arctic drilling means seismic testing, drills, pads, connecting roads, off gasing, air pollution. Seismic testing done back in the 1980s still scars the landscape today. Developing the Refuge would change the lives of the people and animals forever. If seismic testing does occur this winter, we will be heading back into the Refuge to film. In the mean time, we need your help! Please share this campaign and consider donating to help us continue to create powerful media and distribute our work widely. The Arctic National Wildlife Refuge is an iconic American treasure comprising 19 million acres of north eastern Alaska. It's the largest protected wilderness in the United States. Currently there are no roads inside the Refuge or even leading to the area. To the Gwich’in, what politicians call the 1002 area, is "the sacred place where life begins." The Porcupine Caribou Herd have been migrating to this location for hundreds of years, using it as their calving grounds. 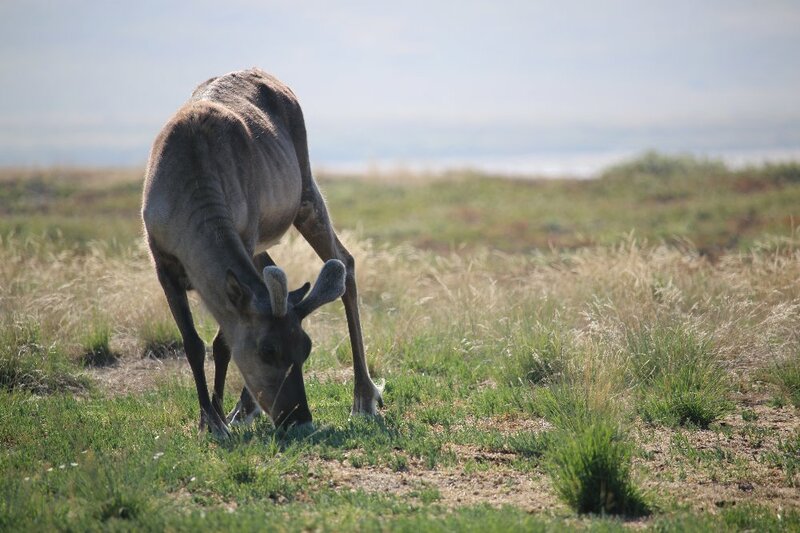 40,000 caribou are born on the coastal plains in the Refuge every year. It provides them with abundant food, protects them from predators and insects and is vital to the health of the herd. The herd is already threatened by predators, natural challenges of weather and terrain, and a changing climate. 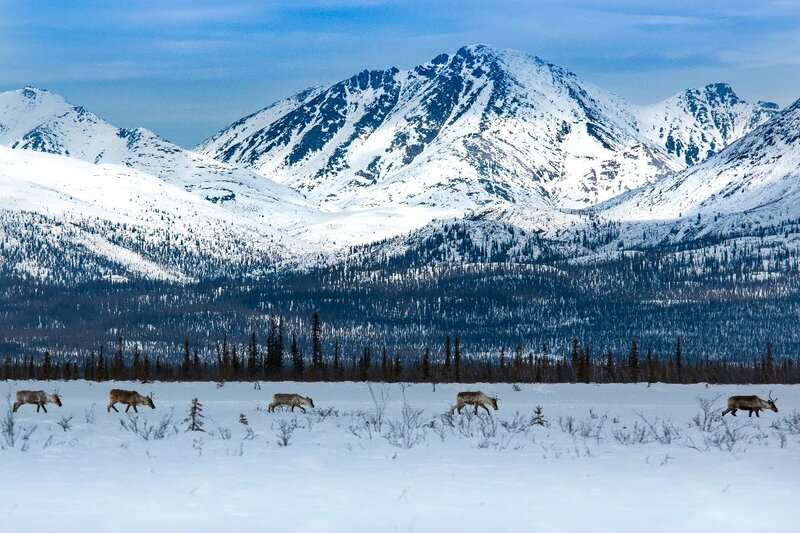 Several studies including one by the U.S. Geological Society predict that development in the Coastal Plain would have major impacts to the caribou. 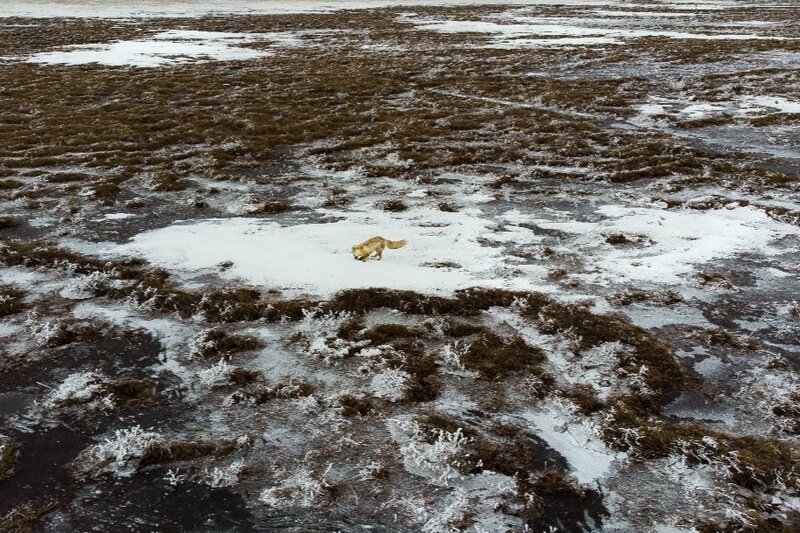 A threat to the Porcupine Caribou Herd is a threat to the Gwich'in way of life. 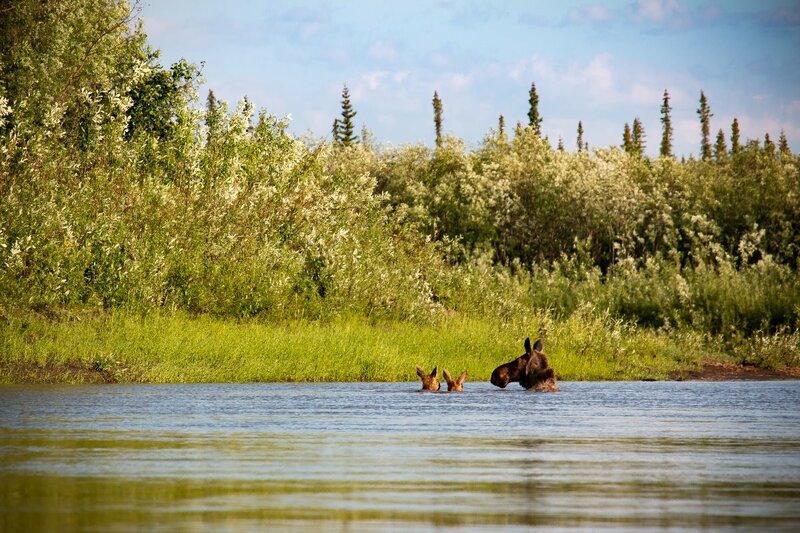 The Gwich'in are opposed to all oil and gas activities in the Refuge. Opening up the coastal plains is a human rights issue. The Refuge is also one of the last ecologically intact places on our planet. Wildlife populations are healthy and live undisturbed by mankind. 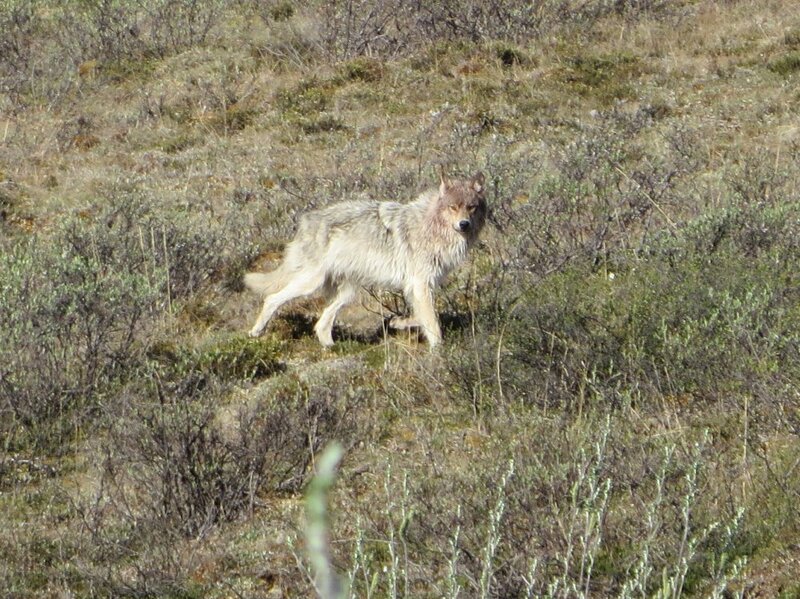 Wolves, musk oxen, dall sheep, wolverines and arctic foxes roam free from roads, fences and pollution. Polar bears den on the Refuge's coast. 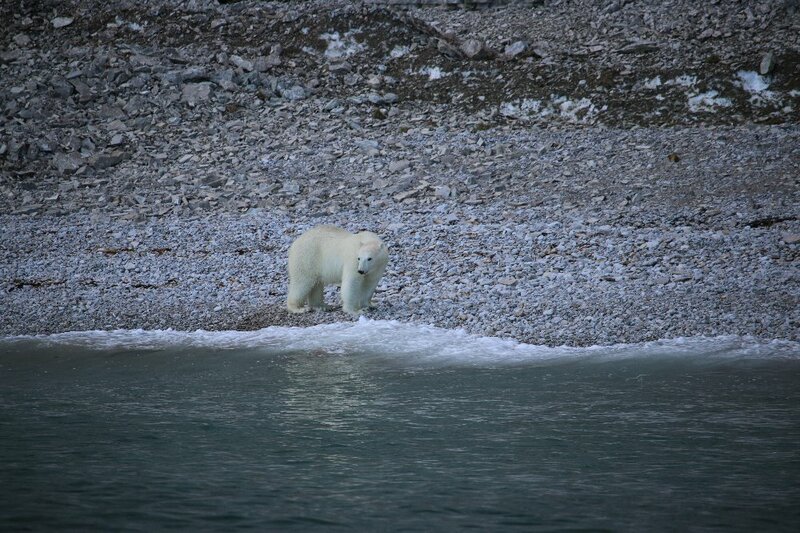 In fact, it is one of the thickest polar bear denning sites in Alaska. Every summer, more than 200 species of birds spend time in the Arctic Refuge to nest, raise young, feed, or rest. Five species of loon, tundra swans, golden plovers, snowy owls and the Arctic tern, which migrates from Antarctica every spring, all depend on the Refuge. 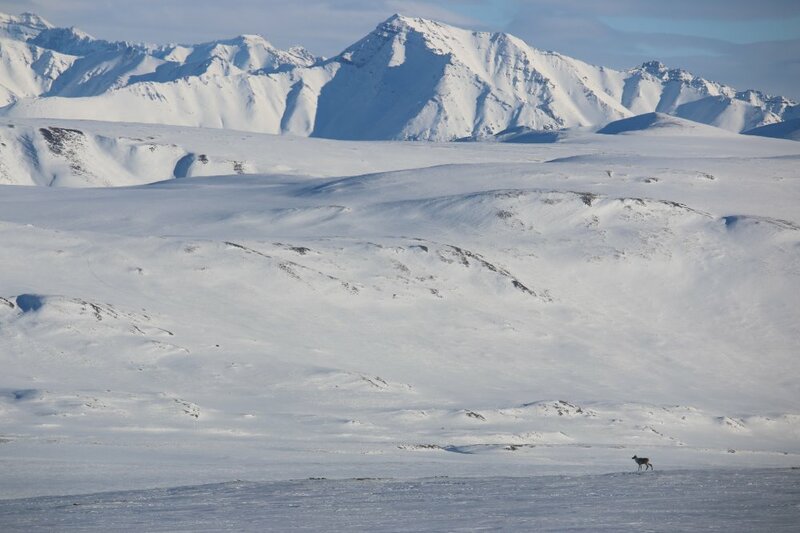 According to The Hill, "The Arctic Refuge has enjoyed bipartisan support for decades since Republican President Eisenhower and Congress established its first protections in 1960." Yet recent developments will change the fate of the Refuge. The Hill continues by discussing the current administration's agenda for the area.. "President Trump's budget assumes that oil company leases in the Arctic Refuge will generate $1.8 billion in revenues for the federal treasury, while the Senate budget anticipates reveneus of at least $1billion." This revenue is substantial and will change the way of life for many villages. Is this the future the Gwich'in people want? Is this the future the citizens of Alaska and America wants? We will film formal interviews with various locals and experts to analyze and discuss the various pros and cons. 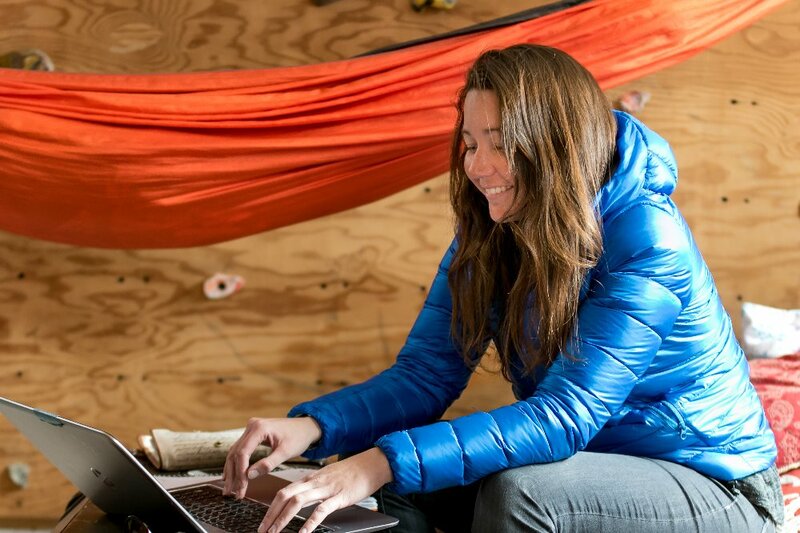 KRISTIN GATES: I moved to Alaska's Arctic when I was 23 years old. Before arriving to the last frontier, I dedicated my life to embracing America's wildest and most remote areas. I became the youngest woman to complete the Triple Crown of thru-hiking [Pacific Crest Trail, Continental Divide Trail, Appalachian Trail] and I had experienced most of the wilderness areas in our country. I thought I knew what wilderness was, but as I stood at the edge of the Arctic National Wildlife Refuge for the first time, I understood this place is something completely different and unique. This is real wilderness. 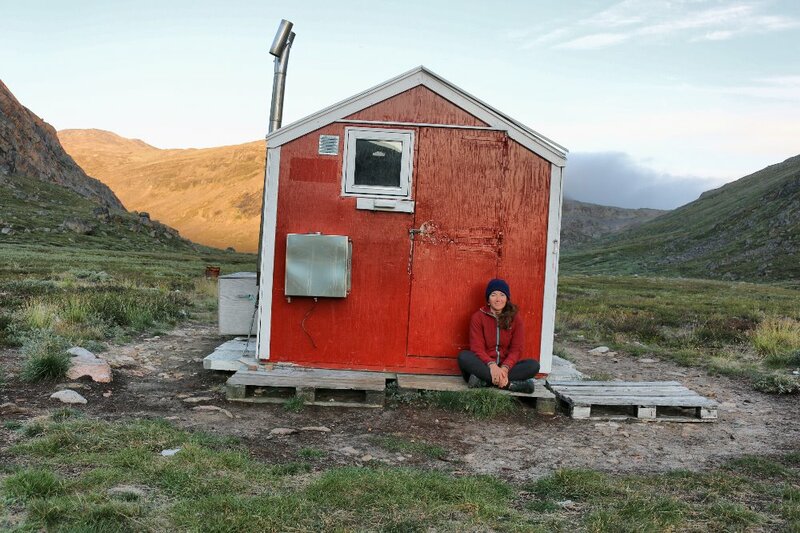 When I was 25, I became the first woman to trek solo across the Brooks Range and during that trip, I was lucky enough to walk across the trail-less Refuge. The experience completely changed my life. I became more focused on dedicating my energy to showcasing America's wildest areas and how best to continually protect them. 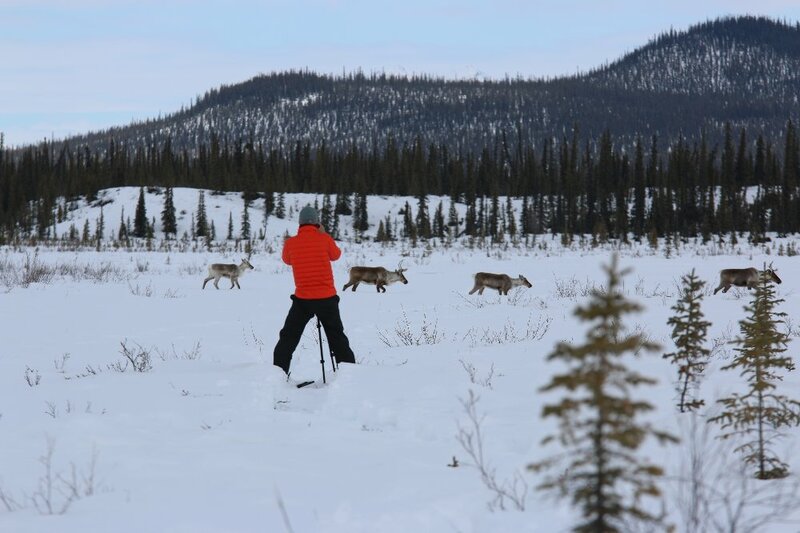 While alone in the Refuge, I encountered the Porcupine Caribou Herd Migration pouring through valleys as they traveled north to the calving grounds followed by grizzly bears and wolves. I followed the paths of these incredible animals and the experiences were the holiest and most inspiring I'd ever seen. This is one of the last ecologically intact places on the planet. It must be protected. 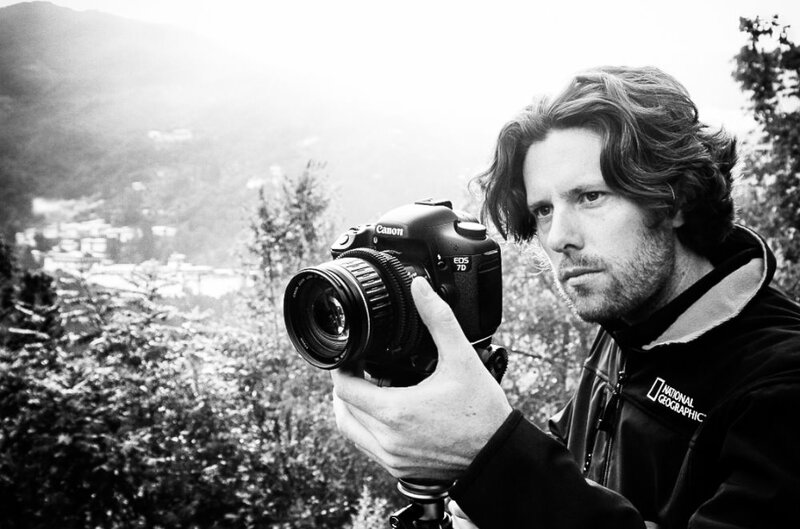 Jeremy La Zelle: His areas of filmmaking expertise have taken him into some of the wildest and most challenging off-the-beaten-path destinations on Earth. Jeremy writes, produces, directs and films content in exotic places such as the Arctic Circle, swamps of Mississippi, deep inside the Appalachian Mountains, across South America, throughout Africa, and within the Himalayas. Jeremy has written, produced, and directed for Networks such as National Geographic Channel, Discovery Channel, and History Channel. With Expedition ANWR, Jeremy hopes to showcase and highlight the magnificent beauty of the area's flora and fauna. 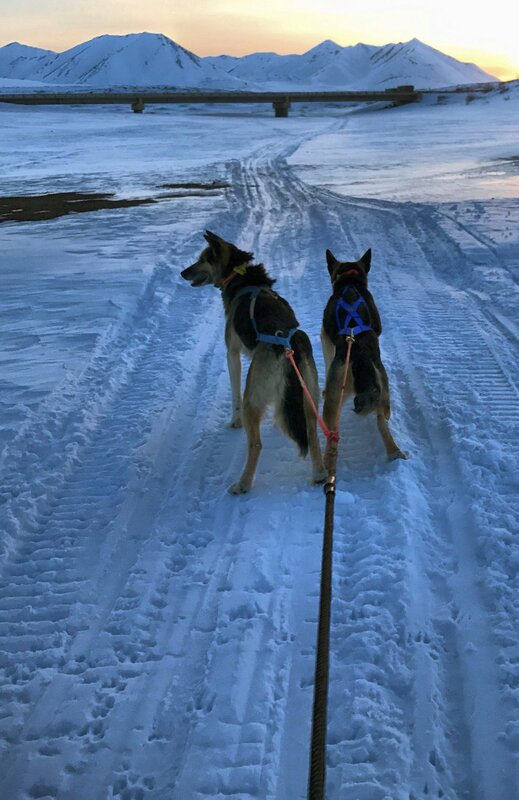 Sisters Yapper and Yogurt are friendly, outgoing, lovable, and incredibly couragous sled dogs that have completed the Yukon Quest, a 1,000 mile international Sled Dog Race. Donations will help us cover the cost of flights, gear, food for us and the dogs, camera equipment, filming, post production, editing. 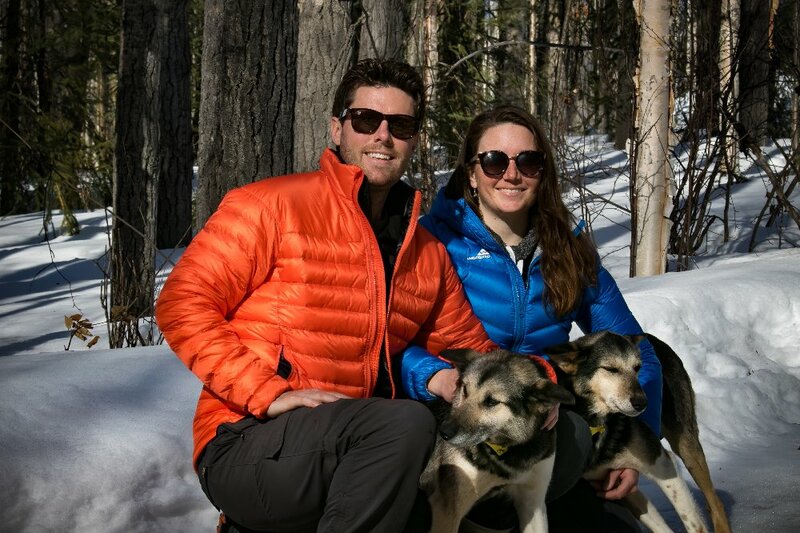 Kristin will receive the funds and they will be split equally to help towards her and Jeremy's expedition expenses. This is a 7+ month process, not for profit. 2 months of preparation, 3 months out on the land, and 2 months of post production and editing. We are trying to cover our costs to make this dream a reality and do everything we can to protect this important place. 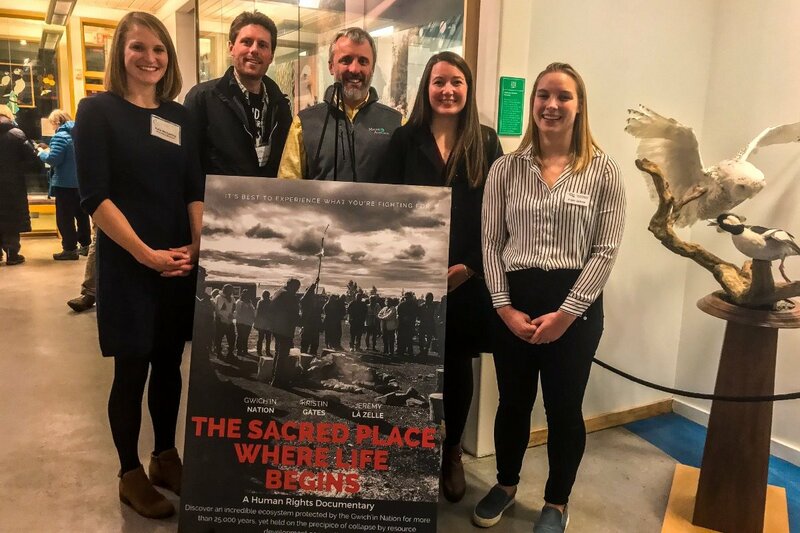 Last week Jeremy and I were excited to share our film and an hour long presentation with the Audubon Society, World Affairs Council, the Natural Resource Council of Maine, and the Casco Bay High School. Thank you so much to everyone who came and listened! This week we are sharing our work in Stockholm at the Climate Climb event and in New York at the Polar Film Festival. Our recent minute long edit for the Sierra Club is up to nearly half a million views, so we are getting word out about the Refuge! Please take the time to comment about the proposed development in the Refuge on the BLMs page. Public comment is only open until Feb 11th! Make your voice heard. If you'd like to help our work, please continue sharing our GoFundMe page! Lots of hard work ahead. We are still working hard to spread the word about protecting the Arctic Refuge. 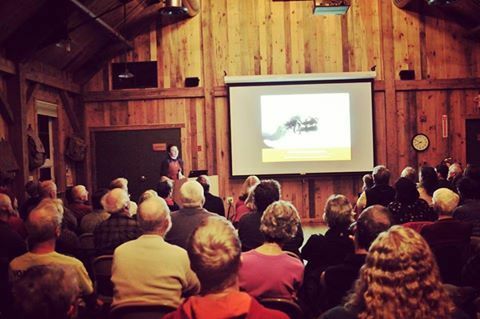 We are giving presentations about the Refuge in New England during the month of January. We will also be sharing a 16 minute version of our film at the Polar Film Festival in New York this month and have entered the film in 50 other festivals around the country and around the world. A huge thank you to all of our supporters for making this work possible. We still have a lot of work ahead and nothing would be possible without your help. If you donated recently, we will be in touch soon about your rewards. Happy New Year! Here's to taking care of our earth. Since packrafting down the Porcupine River to spend time learning and filming in Old Crow and Fort Yukon, we have been hard at work creating powerful media on behalf of the Gwich'in Nation. Just two weeks after successfully navigating the Porcupine River (550 miles), we edited and presented a 13 minute piece about the Refuge for The Explorers Club. This event showcased how important the Arctic Refuge is to the Gwich’in People, and the audience response was incredible. We have also created a call to action piece that is right now being shared widely on social media. Additionally, we’re working on sharing a 20 minute documentary at the Polar Film Festival in New York in January and will be blasting the internet with more call to action pieces as well. A huge thanks to everyone for supporting our work and making this possible!! The fight to save the Arctic National Wildlife Refuge is only just beginning and we have a lot of hard work ahead. Please share our video and the GoFundMe page! 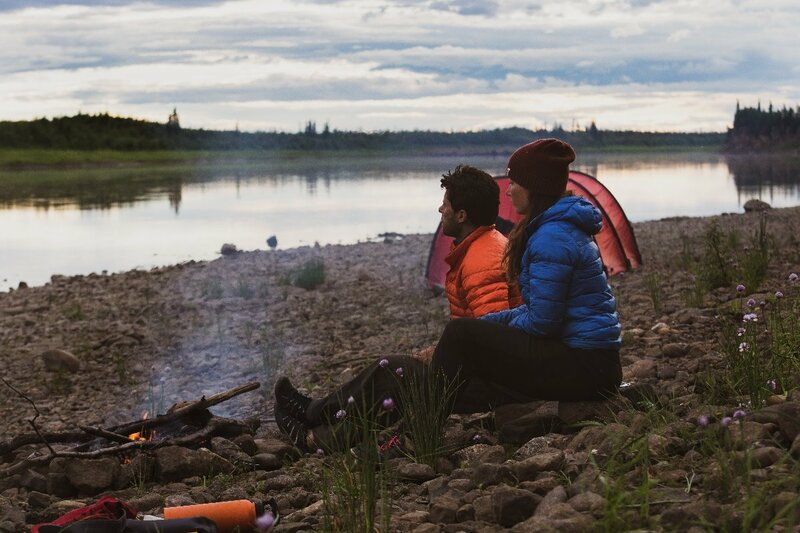 We spent ten days paddling from Eagle Plains to Old Crow after the Gwich’in Gathering in Tsiigehtchic. 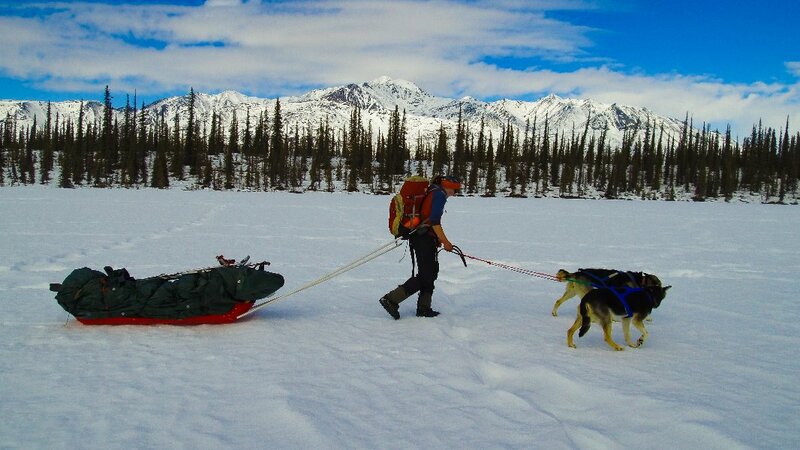 The going was sometimes hard especially on the Eagle River where campsites and drinking water were difficult to find. Luckily, the bluffs and wildlife sightings were stunning and when we hit good current, the going was wonderful. 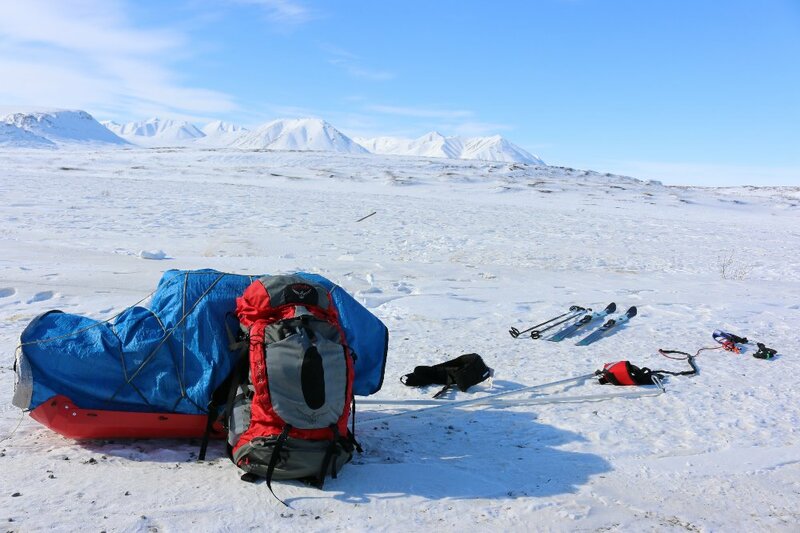 The purpose of this leg of our journey is to learn from the Vuntut Gwich’in and spend time in their homelands. We have spent the past four days in Old Crow and have learned a lot. We have been lucky to interview leaders in the community as well as paleontologists working with the community. Margaret took us into her home, Tracey took us on the road up the mountain and pointed out all of the landmarks around from Crow Flats to the Porcupine. Dana shared so much wisdom and even showed us which plants are good for making tea. We are so happy to be in this community and learning so much. Mahsi Cho to all of our teachers! We are also continuing to learn about the importance of the Porcupine Caribou herd and have a lot more work to do to advocate for the protection of the Arctic Refuge. Much work and many miles ahead. Thank you to all of our supporters for making this project possible! We are almost halfway to our campaign goal! Please help us share widely! Pledge $10 and you will receive Kristin and Jeremy's eternal gratitude and a digital advocacy pack so that you can raise awareness about the Refuge! Pledge $25 and Kristin and Jeremy will send you a postcard during their adventures from our adventures. You will also recieve a digital advocacy pack! For $30, receive a 4 postcard pack featuring our favorite images from our adventures along with a digital advocacy pack! For $40, receive a digital photo album! Five of our favorite images from the trip and a digital advocacy pack. Pledge $50 and receive an 8x10 in print (choose from three expedition photographs) and a digital advocacy pack. Pledge $75 and receive an 11x14 in print (choose from 3 expedition photos) and a digital advocacy pack. 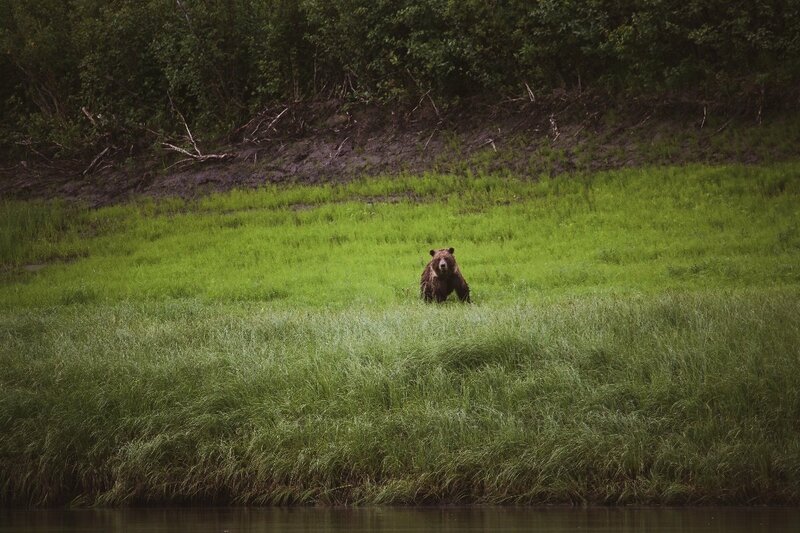 For $100, receive a 16x20 in print (choose from 3 expedition photos)and a digital advocacy pack. Pledge $125 and receive a calendar with photos from the expedition and a digital advocacy pack. Donate $200 to sponsor a day and you will receive a calendar, postcard, and video message from Jeremy and Kristin taken during the expedition. Producer Credit (name appears in the official credits and on our IMDB page), plus a post card from our adventures, a 16x20 print, and a digital advocacy pack. Pledge $1600 and we will bring the expedition to you. (We can offer lectures in New England, the New York City area or Southern California).